TRILLFIT is a high energy, beat-based workout party based in Boston, MA. Inspired by hip-hop culture and nightlife, TRILLFIT‘s addictive, sweat-inducing, full-body workouts make fitness fun and promote diversity within the boutique fitness industry. In group fitness classes, Heather C. White found herself hitting a wall—not because of the pace or intensity, but because of an inability to connect with the music. “I felt like I couldn’t really take my workout to the next level,” White says. 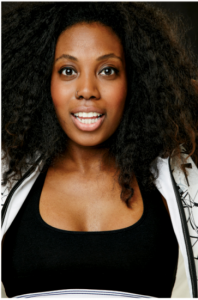 “The biggest question I had for myself was, what would make me work out more? 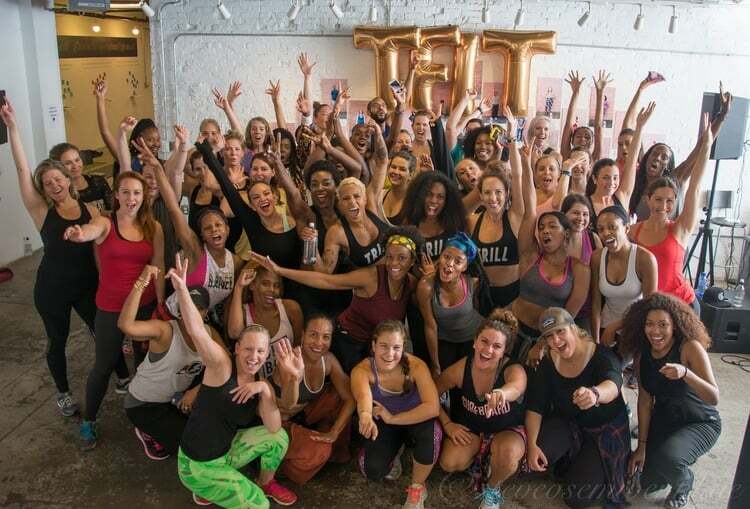 And I was like ‘Oh, if it’s like a party!’ The desire to work out while werking it out drove White to create Trillfit, a new fitness movement that focuses on beat-driven workouts and celebrates hip-hop culture, hosting monthly pop-up fitness classes ranging from kickboxing to spin to yoga. 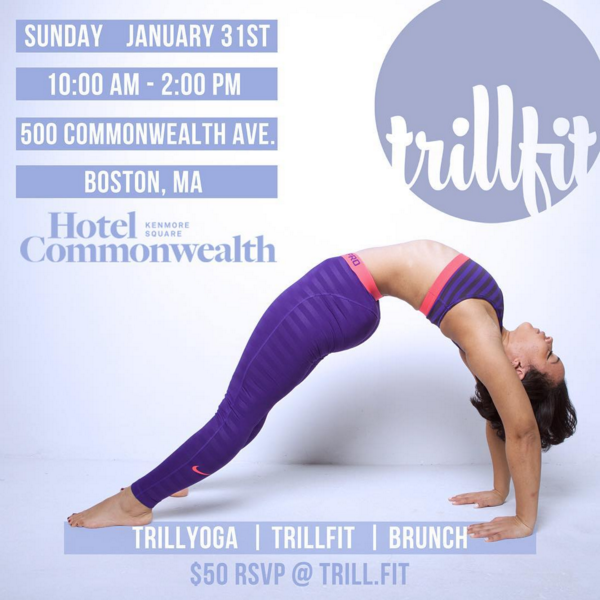 This Sunday, January 31st at Hotel Commonwealth in Kenmore Square, Boston, (click here for Google Map) Heather is hosting Boston’s First Wellness Day Party: Brunch & Burn, by TRILLFIT. This event will include 2 high energy, sweat-inducing workouts, healthy brunch bites, on-site beauty treatments, and music by DJ Nick Bishop. The event starts at 10:00 am with a 60 minute session of TRILLyoga led by rockstar yogi LadyDork (she has over 70k followers on Instagram). Bring your own yoga mat. I just bought this one from Amazon and you should too. Then at 11:00 am will be the 60 minute TRILLfit signature workout lead by Melisa Valdez. This is an explosive, full body workout combining dance moves and plyometric exercises for optimal burn. Afterwards is brunch! Choose between an egg white & gruyere breakfast sandwich, a make your own trail mix bar, and a fresh fruit and juice bar. There will also be on site beauty services and health coach consults. I myself will be attending the event, along with my girlfriend, and I have to admit I’m a bit nervous. 60 minutes of yoga followed by 60 minutes of a full body workout featuring hip hop dance moves? Sounds like it’s going to be tough. I like to consider myself a decent dancer, but typically need a few drinks to get me going, so hopefully the yoga session will loosen me up and the hip hop beats will keep me moving. If you attend, I’ll be the lanky 6 ft tall balding guy failing to keep up while my in-shape girlfriend laughs at me hysterically. Meanwhile Heather C. White will likely have an “OMG why did I invite this guy? !” look on her face. But hey it’s all in good fun and I have no doubt I’ll get a good workout which is good because my love of ice cream and craft beer is starting to catch up with me now that I’m 31. And by catch up, I mean attach itself to my gut for all to see and cling to me no matter how many miles I run on the treadmill. TRILLFIT TO THE RESCUE!!! Maybe I’ll even be able to fit in to my favorite shirt again soon. So, if you’re looking for a new, unique, exciting workout to try, this sounds like a winner! 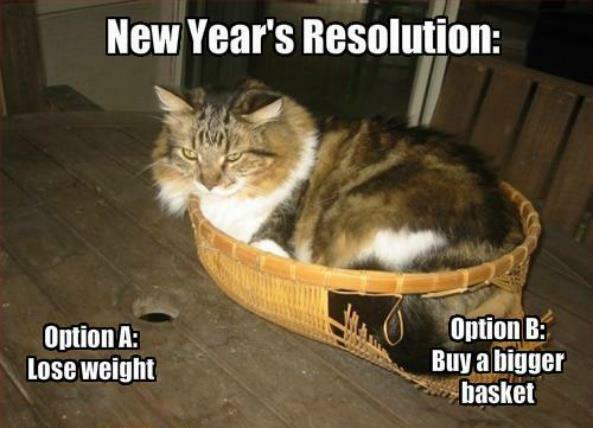 Be honest, how are you really doing with your New Year’s Resolution to lose weight, eat healthy, hit the gym, and get lean? Yea you, I’ve seen you and all the other ‘newsies’ (new years resolution gym goers that don’t last past January) at my gym crowding up the place, not wiping down my machines, not re-racking the weights properly, and making me wait for a treadmill with a working TV. 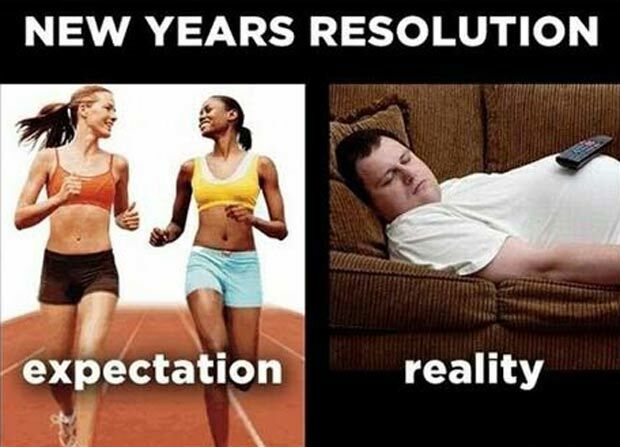 How long are you really going to keep up your resolutions? According to a 2015 survey by Nielsen, the top 2 New Year’s Resolutions typically are “Stay fit and healthy” and “Lose weight”. Unfortunately, according to a 2014 survey by Details Magazine, 1 in 3 people ditch their New Year’s Resolutions by the end of January. Well here we are at the end of January folks! Are you going to be 1 of the 3 that give up already?!?!?!?? Are you the ghost of a once healthier person? 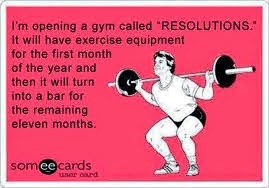 Are you the wonderful reason my favorite treadmill is now open again whenever I want it? Say it with me… HELL NO! I CAN DO THIS! At least through February… 😉 or at the very least until Valentine’s Day has passed. If you are on the verge of ditching your vows to yourself to get in shape, maybe TRILLFIT is exactly what you need to keep the momentum going for a healthier and happier 2016. So, grab a ticket to the Brunch & Burn event by clicking here, or if you can’t make it then check their schedule of other upcoming events. You can also follow TRILLFIT on Twitter, Instagram, and Facebook to stay up to date on announcements of any other events they conjure up. If you have already tried TRILLFIT please leave a comment below letting us know what you thought of it. I must admit I was a little nervous going to the TRILLfit event. I’ve never taken a yoga class or a dance themed fitness class. I’ve tried salsa and Texas swing dancing in the past, but that was years ago. TRILLfit is hip hop dance fitness. Hell, I even had to Google what “trill” meant. It’s a combo of true and real for those as out of the loop as I am. 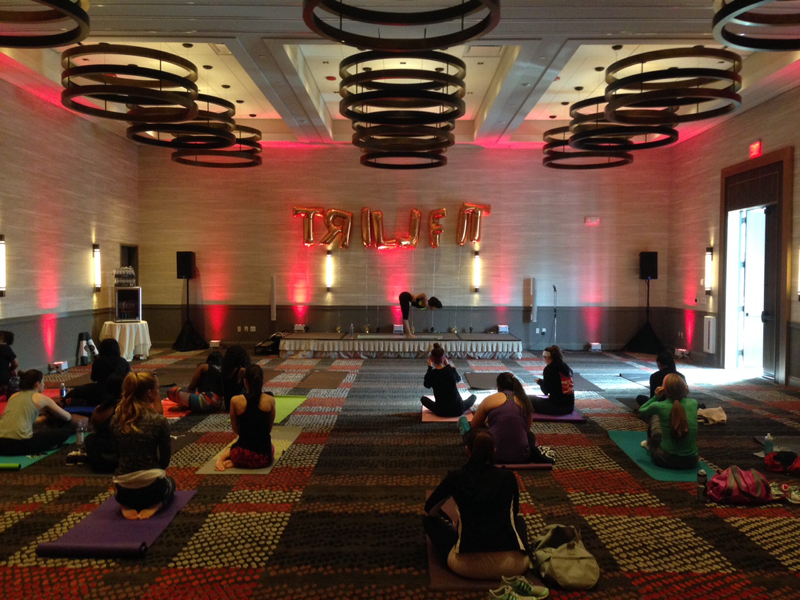 TRILLfit yoga getting started in the Hotel Commonwealth ball room. LadyDork on the stage! Anyway, I knew I was going to stick out like a sore thumb and I was right! I was 1 of 2 guys at the entire event. The rest were females, maybe 50-100 of them, I’m terrible at estimating crowd numbers. Luckily, I had my girlfriend Heather with me so I didn’t feel totally awkward. Heather is excited for TRILLfit. Guys, this is a great date idea! But hey, part of the reason I started this blog was to force myself out of my house and out of my comfort zone to get out and try new things. Ultimately, I’m glad I did! TRILLfit was a lot of fun. First was yoga with LadyDork. Some of the poses were pretty difficult, but she had a certain non-judgmental vibe (or should I say trill) and mellow tone of voice that made me feel relaxed and like I wasn’t being judged for being 1 of only 2 guys, not having prime flexibility, being too large for my yoga mat, and occasionally falling out of pose. Afterwards I felt loose and relaxed and would certainly try another yoga class. Thanks LadyDork, you rock! 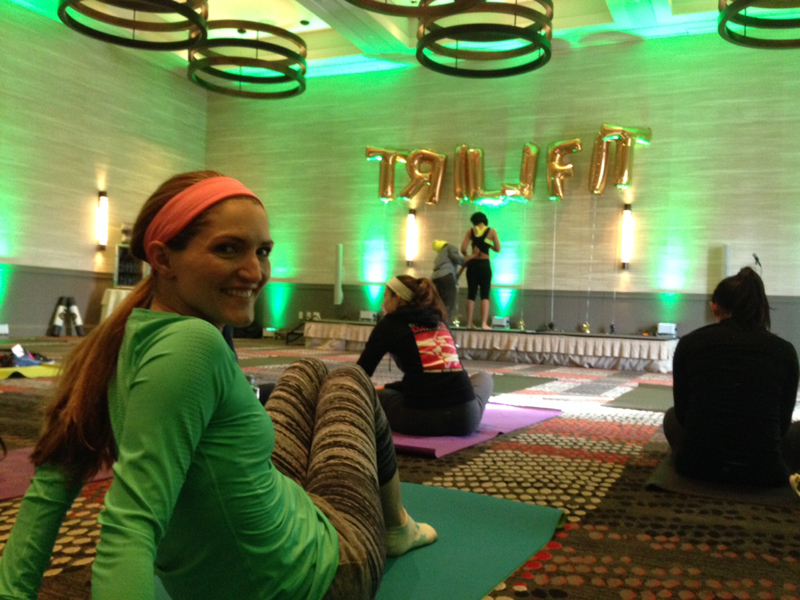 Next up, after a short mimosa break, was the signature TRILLfit workout led by professional dancer Melisa Valdez. This consisted of mostly hip hop style dance with lots of side to side movements, knee kicks, squats, and hip movements to work at your core. There were also some yoga poses and mountclimbers included. Sure, I wasn’t very good at poppin’ my booty and swaying my hips like a hula dancer, but I kept up with the pace and laughed a lot trying to imitate the moves. After the workout they served a solid brunch. Melisa Valdez came up to speak with me for a few minutes to give me props for doing the workout. I said something self-deprecating as I often do and she responded with something along the lines of, “not at all! I was watching and you were out there giving it your all and just doing your thing, moving to the music and laughing and having fun with it. That’s what it’s all about! Just be you, get a workout in, and have fun. You don’t need to follow the dance moves exactly, as long as you’re moving and laughing you’re doing it right. No judgement here.” Thanks Melisa Valdez, you rock too! Afterwards my girlfriend and I were discussing the price of the event, $50. Going in to it we both thought that was a pretty steep price to pay for a workout. However, afterwards it seemed worth it. You get 2 workouts led by real pros, a mimosa, an egg sandwhich, fruit, drinks, a gift bag with deals and a copy of the Improper Bostonian, and socialization with like minded people. There was also a cash bar, free beauty consultations, and free health consultations if you wanted them. Plus it was in a really nice venue, the Hotel Commonwealth. 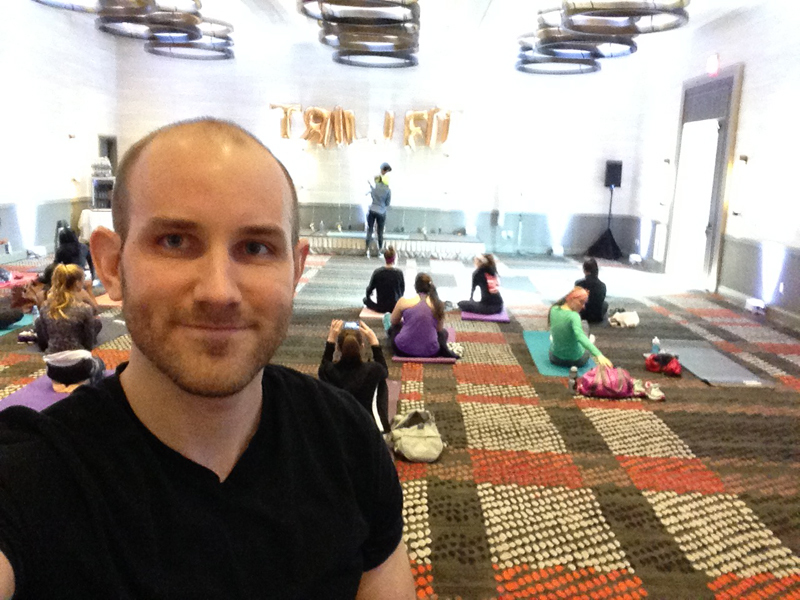 If you think about… say you did 2 yoga classes, they average $16 for a drop in so that’s $32. Plus a mimosa, breakfast sandwich, fruit, juice, and trailmix at a restaurant… I’m pretty sure that’d cost you much more than $18. So for a fun, unique, workout and brunch with your group of gal pals (or me) it’s well worth the cost! It looks like their next event is on Valentine’s Day or February 28th. You can check their schedule here. I highly recommend you give it a try! 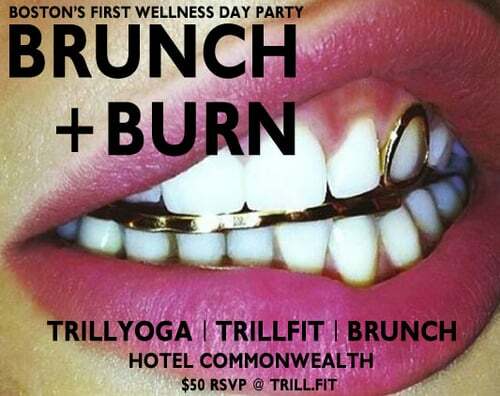 Disclaimer: I was contacted by TRILLFIT and offered a free pass to attend the Brunch & Burn event. This does not mean the event isn’t awesome, because it totally is. If TRILLFIT seems like too intense of a workout for you, try reading our post on yoga classes in Boston to find the right class for you. Thanks for reading and be sure to share this post with your friends and follow Wicked Cheap Boston on Twitter and Instagram. And keep it trill!